Imaginary Animal: thank you, molly ringwald. we were pretty pumped when we found out (a week ago!) 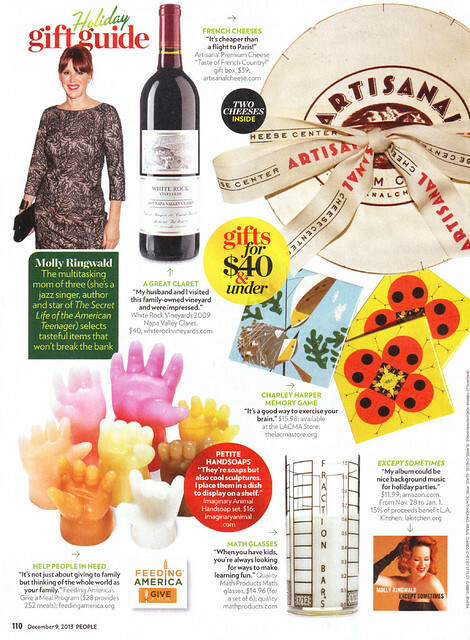 that Handsoap would be included in People Magazine's holiday gift guide... we didn't know until we saw the issue yesterday that it was selected by Molly Ringwald and that she says "they're soaps but also cool sculptures. i place them in a dish to display on a shelf"... talk about icing on the cake!